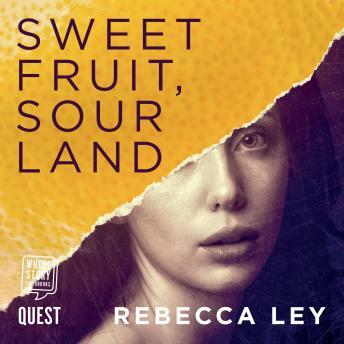 Listen to "Sweet Fruit, Sour Land: Winner of the Not the Booker Prize 2018" on your iOS and Android device. When a wealthy client visits Mathilde's dressmaking shop, she finds herself drawn into the only surviving circle of luxury left in a barren London. Attending parties offers a welcome escape from life governed by ration cards and a strictly enforced child policy. Here she meets enigmatic government minister, George, and piano-playing Jaminder, with whom an intense friendship blossoms. As their relationship grows stronger, George's grip on Mathilde tightens, as she tries to discover where the illicit food is coming from, where women disappear to, and what price she must pay to avoid bringing a child into a cruel, ever-changing world.